Amazon Smile is a new program from Amazon that allows .5% of purchases to be donated to the charity of your choice. Go to http://smile.amazon.com/ sign in to your Amazon account, designate Friends of Ipswich Elementary Schools as the charity. When you shop, you’ll be earning money for the school. Clip box tops from 100’s of products at the grocery store. They are on more items than you think and can be very small. Clip, collect and send them to school with your child. There is a collection container in the school lobby. In addition to 5% off every time you use your card and free shipping at Target.com, you can designate Winthrop Elementary to receive 1% of all your REDcard purchases at Target. 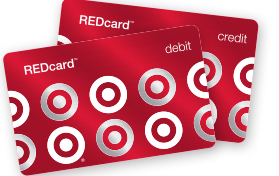 If you have a card or want to apply for one, got to Target.com, click on take charge of education under “Rewards/Benefits. The Winthrop school ID is 59399. A+ School Rewards are point that accrue with each purchase using the Stop & Shop Card. At the end of each month, the total rewards are used to determine the schools cash total- which is automatically credited to your school’s account. Go to www.Stopandshop.com, click on “savings and rewards”, and designate Winthrop Elementary as your school. You must enroll each year. If your family members shop at the Stop & Shop, have them designate their card to Winthrop. Use the GoodSearch web engine to automatically earn money for the Winthrop School. Go to www.GoodSearch.com , designate Winthrop School as your earnings recipient, sign in with your email or facebook account and start searching. Everytime you conduct a web search using GoodSearch, Winthrop will earn a few cents. Also available: Gooddinning, Goodshop and Goodapp- that all work in a similar fashion and earn money for the school.